Raffles Medical, formerly International SOS is one of the largest medical assistance companies in the world with representation in over 60 countries. No matter where you travel within China or internationally, medical & emergency assistance is only a phone call away. Worldwide, Raffles Medical, ex-International SOS, has built up an extensive network of doctors and hospitals that can be called upon to intervene and assist our members on our behalf. 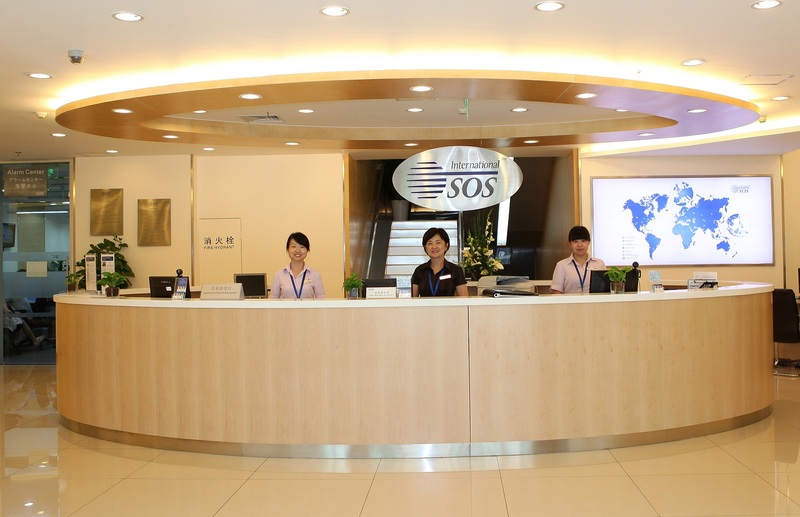 Raffles Medical, formerly International SOS, was established in 1994 in order to provide our members with international standard medical care. Since then, it has grown from a small sized family practice clinic into a multi service, patient centered Medical, security and information center. What main services does the clinic/hospital offer? We also provide immigration health check services for visa procedures. Raffles Medical, formerly International SOS is designed to offer health care services in a comfortable, clean, safe and private environment. We have a range of doctor consultation rooms as well as observation, diagnostic (X-rays, ultrasound…), treatment areas and a fully equipped pharmacy. Do you need a private health insurance in China? Health care is not subsidized in China like it is in some home countries.. 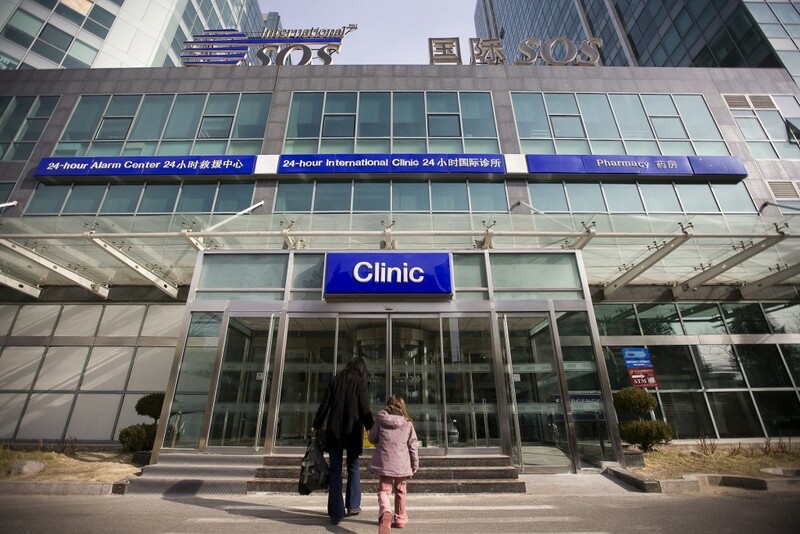 It is important that companies and individuals do consider health insurance policies when living and working abroad, as well as membership with an assistance company such as Raffles Medical who have professional teams on the ground in China, extensive local knowledge and access to a comprehensive network of information and providers. What type of health cover does the centre offer in case of medical issues? Our members can choose to subscribe to an annual clinic plan which covers unlimited visits to any of our General practitioners, selected laboratory tests, listed medications, listed vaccinations and an annual health check. Which are the most common issues or asked services at the centre? Apart from all General practice services and pediatrics, our patients also regularly access our clinic for such issues related to dentistry, eye care, mental health support, physiotherapy, medicines, health check. Do you also use Chinese medicine? What do you recommend most? Tell me more about the professional career of the doctors here. Our doctors are either Expatriate doctors or Chinese doctors with international training. Most of them are general practitioners with experience in a range of areas (internal medicine, women’s health, men’s health, pediatrics, travel medicine, acute care etc… ) and many have had the opportunity to live and work in various countries before moving to China. Many of our Chinese doctors have also had experience studying and working overseas. I guess the centre also has nurses and specialized doctors? Yes – Our services are supported by experienced nurses who are an integral part of our clinical team. Many of them have overseas study and work experience. We have a team of GP’s, Emergency doctors, specialists and allied health care professionals. What kind of people usually frequents the clinic? How is the relationship between doctor and patient? Raffles Medical, formerly International SOS, provides services to patients of different nationalities and cultural backgrounds. We know that patients feel most comfortable when they can receive support and advise from a doctor who can speak their own language and who they know and trust. The relationship is built on the basis of confidentiality and respect. Which treatments or type of surgery is the most needed/wanted? Our patients request a wide variety of health care services including preventative, acute and chronic health care –for example common colds, skin conditions, diabetes, gastroenteritis, minor trauma, fracture management, back pain , high blood pressure, vaccinations and baby checks.